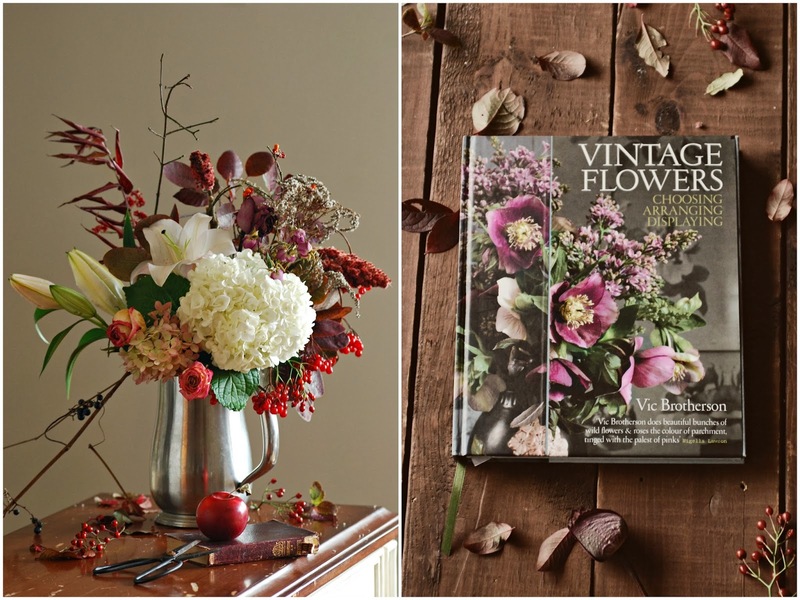 The author, florist Vic Brotherson, is the owner of one of London's best flower shops, Scarlet & Violet. 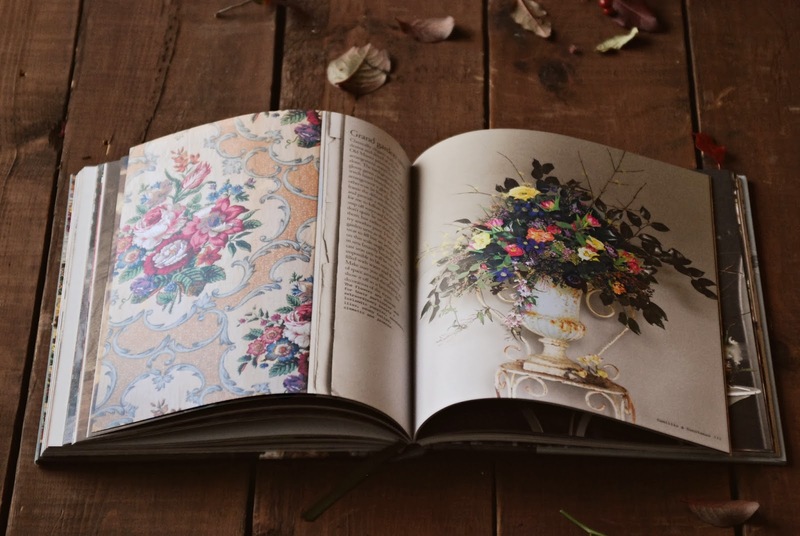 "I studied Fine Art," she shared at the beginning of the book, "and knowing that I could never make a living out of painting alone, floristry seemed like the perfect job, it felt familiar. Now after 20 years of hard graft, I have started to appreciate all I have gained along the way and this book is the result of that." 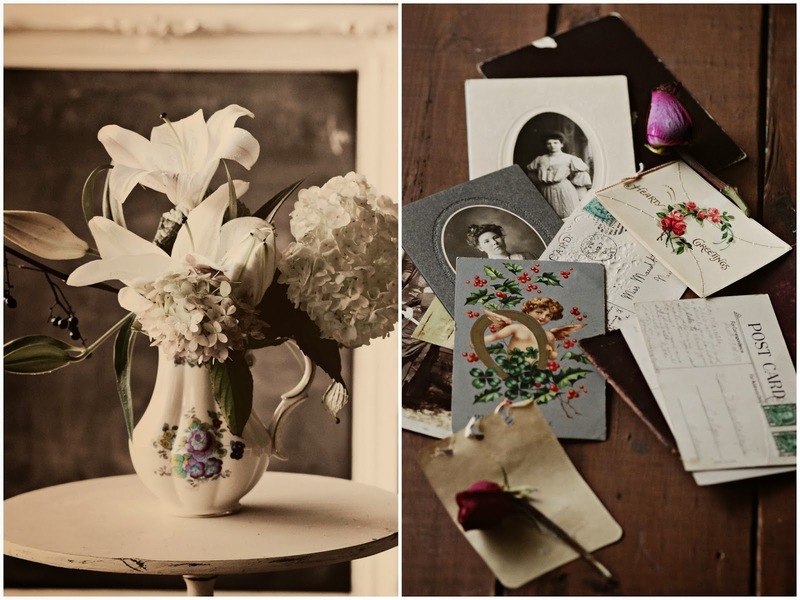 There is no surprise that Vic creates exquisite, romantic and artistic flower designs complimented by a variety of vintage colourful containers from jugs, buckets, glass bottles and hand-painted vases to urns, pans, and pots with cracked patina. 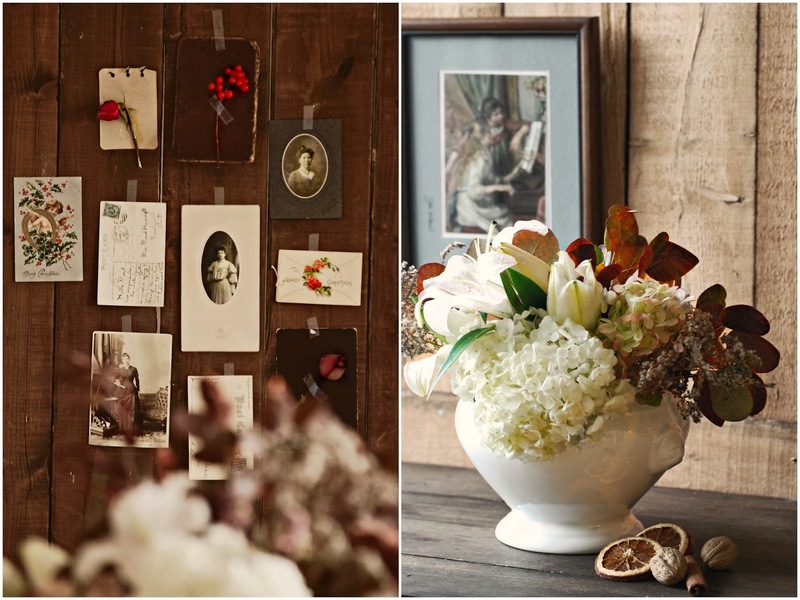 She knows how to "paint" with flowers and her whimsical, easy (simple in a way) natural displays are a real feast for the eyes and soul. The writing is friendly and I truly enjoyed her nostalgic references to past times and her childhood. "Nowadays', she is convinced, "we have access to a much wider variety of flowers than our predecessors, and yet back then there was a far greater understanding and appreciation of flowers, probably because many of the blooms used would have been grown in the garden of the arranges..."
Feeling utterly inspired by the book and especially by the enchanting luscious photography of Catherine Cratwicke, I have been practicing my flower design skills and flower choices, filling my vintage pitchers and vases with forgotten roses, hydrangeas, and foliage from the woods. And, as Christmas is around the corner (I can't believe how fast the year comes to its end), put Vic Brotherson's book on your Christmas list for aesthetic pleasure and year-round inspiration. "Christmas is a time that demands all of those who celebrate it to become involved in some sort of decoration-from a tree to a table center. Every family has its own tradition: my mum has an amazing collection of choir singers, doves and glittery fruit that have become a family joke. It is no surprise that this has made me go the opposite way, looking to the things that are available to us naturally and evoke a real sense of the season, making and using decorations that will sit happily in the home without taking over. The making of your own decorations is something that I encourage, even if it just involves popping holly berries behind a few pictures and laying some pine on the table." It has been such a busy month and I am truly sorry for not being able to read and write comments on my favourite blogs. I promise I will soon find time for that. I hope life is treating you well. I have missed you so much, but I come here and I find such pure thought and simplicity. Even your header space speaks calm to me, that you have left OPEN today. Sylvia, I wish you an even calmer and delightful season of making your own vintage memories. This book is gorgeous, and I have a couple of books that are similar. To thumb through them is a luxury these days of busy schedules. How I detest being TOO busy, but that's the speed at which our world goes in order to make a living. Too bad. This book looks like its full of eye candy! Very romantic and cottage-y as well. Just lovely! The book looks divine Sylvia. 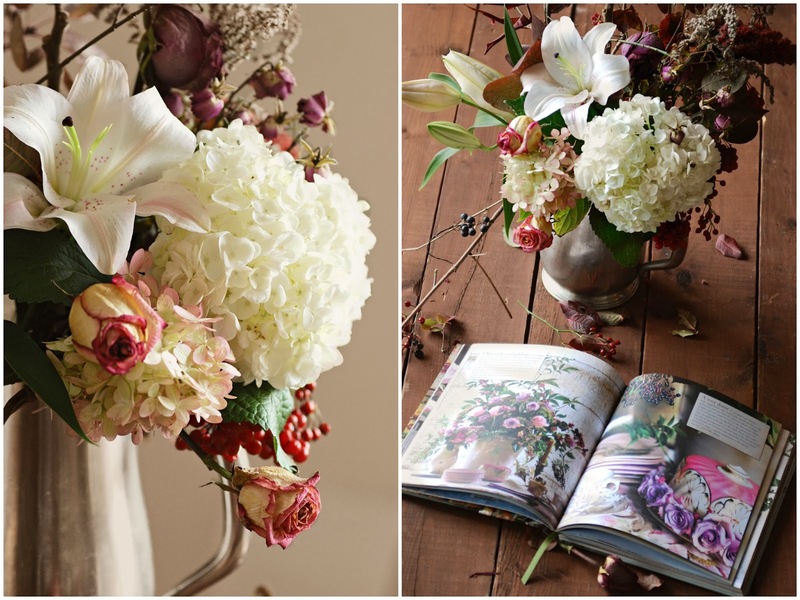 What beautiful arrangements and photos of them! I love how creative and lovely they all are. Pages and pages of sheer delight! 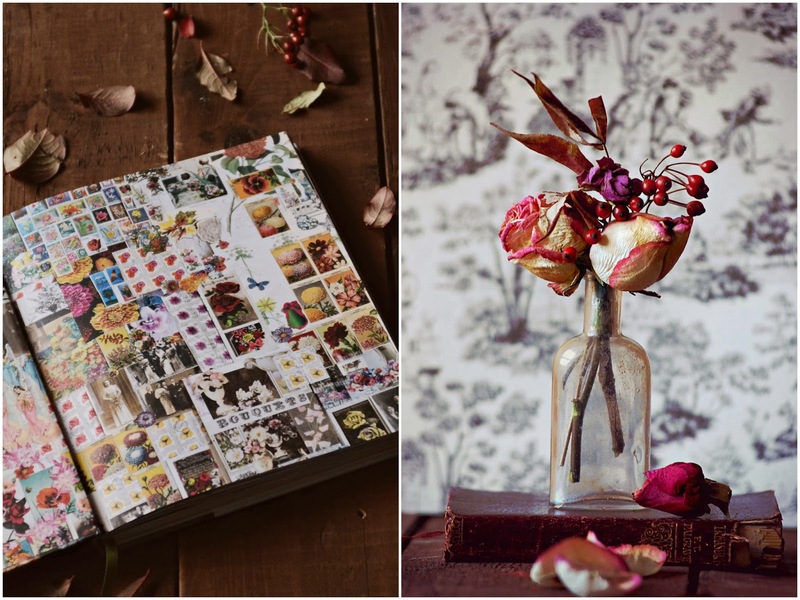 Looks like a gorgeous book perfect for the long winter months. I can tell you are truly enjoying your time with her artistry. It's one of my favourite books too! From the first page to the last....full of inspiration! 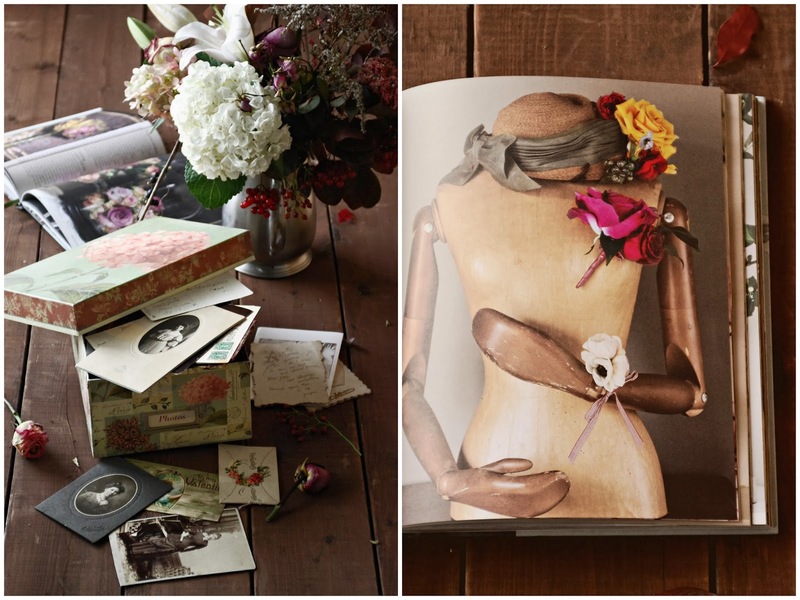 The book looks inspiring - and so too are your own arrangements and beautiful images. Just discovered your blog and know that I'll be a regular visitor. Thank you suggesting this beautiful book as a Christmas gift. I know just the person who will appreciate it completely! 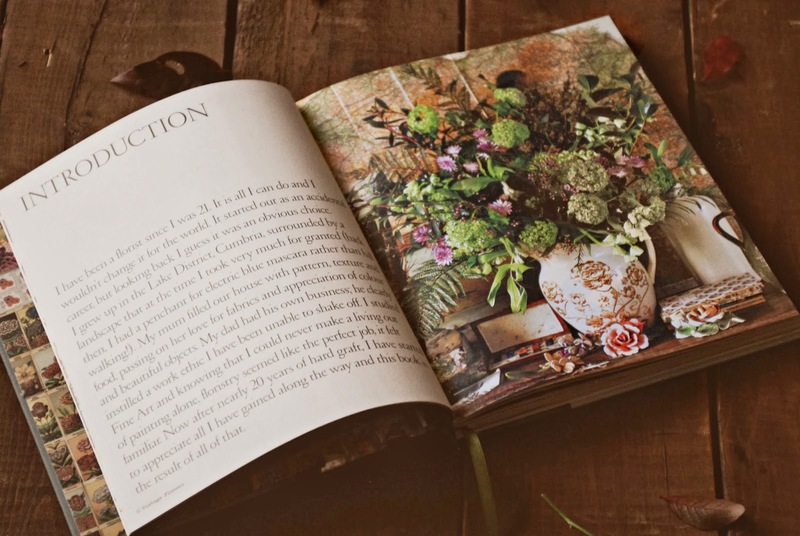 I so love this line from the excerpt you chose, "...looking to the things that are available to us naturally and evoke a real sense of the season, making and using decorations that will sit happily in the home without taking over." Absolutely! Thank you, dear sister, for your warm wishes!! :) I hope all is well in your world, and that you are enjoying the coziness and love of the season.